Howard Raymond Davies was born on 27th June 1895, at 351 Ladypool Road, Balsall Heath, Birmingham. His parents were Bertha and Frank, a carriers clerk. They moved to Wolverhampton and Howard attended Wolverhampton Municipal Grammar School, in Newhampton Road. His interests were swimming, music and horses. He won medals for swimming and was an expert at the American crawl. In later years he always enjoyed a visit to the local swimming baths. He enjoyed horse riding and hunting, and was a keen drummer with his own band. Howard had long been interested in motorbikes and so when he left school he managed to obtain an apprenticeship with A.J.S. at the Retreat Street works. A lot of experience was soon gained in building motorbikes, but his main interest was racing. At that time A.J.S. were inundated with orders and the main priority was to produce the machines rather than organise a racing programme. The most successful local racing team was the one at Sunbeam, but A.J.S. had a 'no poaching' agreement with Sunbeam and so he could not move directly there. To overcome this problem, Howard got a job with Clyno as a tester and quickly moved on to Sunbeam. He was soon entered for the Scottish six day trial, as a member of the Sunbeam team, riding a 6h.p. 'V' twin combination. All went well until the 4th day when the motorcycle frame was damaged, and he had to retire from the race. He stayed in Scotland until the end of the event, but on his return to Sunbeam, he found himself in deep trouble, because of his extended absence, and was promptly sacked. The Sunbeam team of 1914. 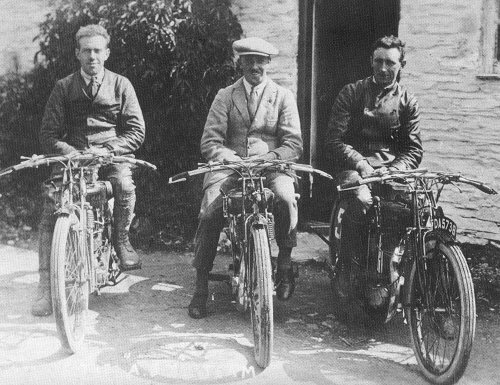 Left to right: Tommy de la Hay, Vernon Busby, Howard Davies, and Charlie Noakes. Howard worked for Diamond for a little while, before managing to 'talk himself back' into Sunbeam. At Sunbeam he was entered for the Senior race in the 1914 Isle of Man T.T. He had a good race and finished in second place. One of the team members, Charlie Noakes was taken ill, but even so, the remaining team members won the manufacturers team prize. In the same year he entered a number of speed events and was very successful. One of the events was the trial organised by the Coventry and Warwick Club, during which he won a silver cup for the best sidecar performance, and a gold cup for the best performance during the day. At the time, Howard and his family lived at 'Darley Dale', Crowther Road, Wolverhampton. At the onset of war, Howard joined the army, and in early October reported to Aldershot to join the Royal Engineers. He served as a despatch rider for 12 months and saw active service in France. On his return to England he received a Commission and was posted to Dunstable. After the excitement in France he found his new role quite boring, and so managed to transfer to the Royal Flying Corps. After training, Howard gained a Royal Aero Club, Pilot's Certificate, at the Military School, Ruislip on 29th July, 1916, and was soon posted to France, where he was promoted to Lieutenant. He joined the No. 34 Squadron at Villers Brettoneux and flew RE8 aircraft which were used for artillery spotting. Howard was shot down twice and managed to return safely on the first occasion. The second time didn't work out so well because both Howard and his observer, Lieutenant J. R. Samuel were captured at Karlsruhe and became prisoners of war. Howard was listed as missing, and a little while later it was announced that he had been killed in action. An obituary appeared in the May 1917, edition of 'Motor Cycling', which must have been a shock to his family. Luckily the news that he had in fact been taken prisoner, soon arrived. Howard was involved in a number of escape attempts, one of which included digging a tunnel. After the war he returned to England, and was demobilised in June, 1919. Back in Wolverhampton he got a job with Aston Motor Accessories and became involved in experimental work. He soon moved to A.M.A.C. Carburettors as a technical representative and started to ride again for A.J.S., on a part-time basis. He joined the A.J.S. team for the 1920 T.T. and was entered for both the junior and senior on a 2¾hp. machine. The A.J.S. machines suffered from engine problems and he had to retire early from both events, because of broken valves. 1920 was a good year for Howard, as he had many competition successes. In July he won the gold medal in the Scottish six day trial, riding an A.J.S., and at the end of the month made the fastest time at Stile Kop. He obtained another gold medal in the A.C.U. trial around Darlington, and broke 14 records, including the flying kilometre, mile record, and average mean speed record at Brooklands. A.J.S. team members entered for the 1921 Junior T.T. race on the Isle of Man. Left to right: H. F. Harris, Howard Davies, and Eric Williams. Before the end of the year, Howard joined A.J.S. in a full time post as Competitions Manager. Part of his new role allowed him to get involved in the development of the T.T. machines, and by early 1921 they were better than ever. The 1921 A.J.S. team for the T.T. were extremely successful. In the junior, the team obtained 1st, 2nd, 3rd, 4th, 6th and 8th places. The winner was Eric Williams. Howard finished in second place, after being robbed of victory by a puncture in the second lap. Tom Sheard came in third. The 1922 and 1923 T.T.s were a disaster for Howard. The A.J.S. machines were suffering from engine problems, which resulted in him never finishing a race. He left A.J.S. in 1923 and moved to Hutchinson Tyres. As he was no longer riding for A.J.S. he received offers from other manufacturers to ride in the 1924 T.T. He decided to ride an O.E.C., but the machine failed after three laps, which was a great disappointment. Howard had been thinking about building his own machines for some time, particularly after the many breakdowns that he had suffered in competitions He left Hutchinson Tyres in August, to set up his own company, and H.R.D. 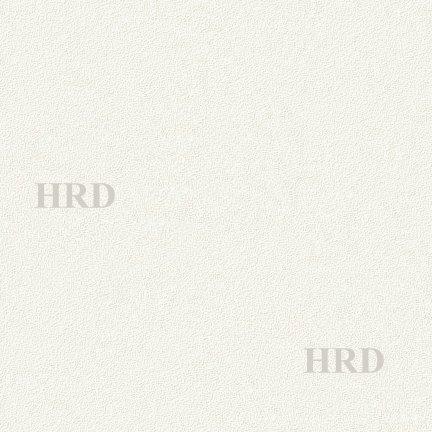 Motors Limited was born. 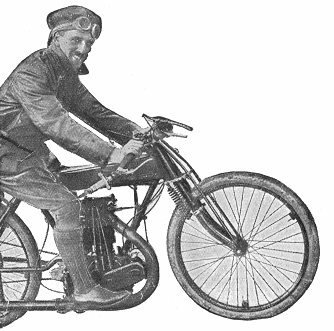 Howard, seated on his 2¾hp. A.J.S. machine. 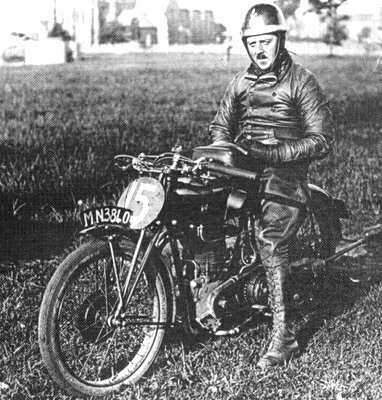 Howard, astride the HRD machine that won the 1925 Isle of Man Senior T.T. The business survived for just over three years. After the closure, Howard had a number of jobs in the motor industry. He worked at Alvis, Meadows Engines, and Bill Lyon's Swallow and Coachbuilding Company at Coventry, and eventually started his own business as a manufacturers agent, covering cars, motorcycles and allied industries. At the time he was living in Southbank Road, Kenilworth, and later moved to his final home in Warwick Road, Chadwick End, Solihull. He continued to attend the T.T. 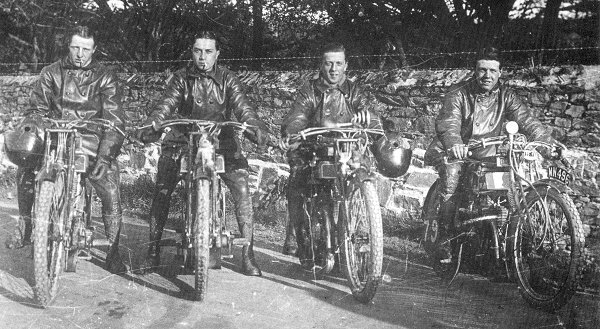 riders reunions, which started in 1937, and often visited Mallory Park with his friend, Albert Clarke. On one occasion he was allowed to ride an old HD75 and an A.J.S. machine on the track. He died at home in January 1973, after a long fight against cancer. His wife Maisie died just two days later. A joint funeral was held at the Robin Hood Crematorium in Solihull.